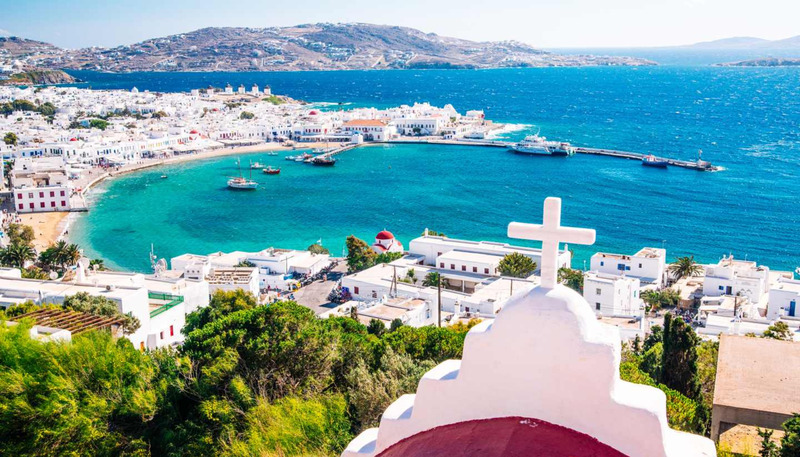 A flavourful melting pot of sparkling nightspots, fresh seafood, sizzling Mediterranean passion and mythical legend, Greece is a fascinating and enchanting destination. The country has long held appeal for travellers, who decamp to its shores to lounge on beaches, explore ancient relics and take advantage of the legendary Grecian hospitality. Yet despite its popularity, there is still an undiscovered feel to parts of Greece with Mount Olympus, the Peloponnese coast and some of the more remote islands slipping, for now at least, under the radar of mass tourism. The first port of call for most visitors is Athens, the country’s stunning capital, which combines a modern centre with the stark ancient beauty of the Parthenon and a position overlooking a cerulean stretch of the Saronic Gulf. Like the rest of the country, Athens was built on a classical civilisation that produced some of the world’s greatest thinkers, philosophers and poets. The ancient Greeks also brought the world democracy, which locals cheerfully remind visitors about, and a pantheon of deities, who are celebrated through statues and local folklore. Everywhere has its own legend; from the tiny island of Ithaca, home to the wanderer Odysseus, to the rugged stretch of the Peloponnese, the onetime playground of divine beings. While modern Greeks might not be hitting the intellectual heights of Pericles, the country remains one of Europe’s leading holiday destinations, thanks largely to its gorgeous collection of islands, which are scattered like confetti across the Mediterranean Sea.